As a debt collection expert, I get many queries from people wanting to issue legal debt recovery process and how they go about it. This is why I started ADC Legal Litigation Lawyers 5 years ago. By doing so, we can now provide a “one-stop shop” for debt recovery and litigation, serving companies across Australia. With this in mind, I thought I would give you a run down on exactly what ADC Legal- Litigation Lawyers does, as well as the process for debt collection and legal action. Before we commence legal action or even go down that path, we ensure that a trained and professional debt collector begins attempts to contact your debtor upon placement of the debt with our agency, Debt Recoveries Australia. Unpaid debts mean money lost for every business and corporation. This hurts the bottom line and cash flow, so getting payment in full is our priority. Once the debt is placed with Debt Recoveries Australia, we will attempt to collect the debt under a “no win-no fee” basis. This means there is no charge if we are not successful. If we are successful, we charge a small commission on the amount we recover. This has proven a highly effective business model for credit managers to recover debts that may seem unrecoverable. What’s more, you are only expected to pay when we collect. Bargain! If our debt collections efforts have failed and we have exhausted all efforts at recovery, we may recommend legal action as a last resort. An example would be where we have demanded against a debtor who is ignoring us. We will confirm, through various databases, where they live and what assets they have, whether it is economical to pursue them legally. We will then direct you in pursuing action against debtor, through our legal arm, ADC Legal Litigation Lawyers. Note that a small claim action can be brought against a sole trader, a corporate entity, partnership or an individual. We will start with a legal letter of demand. Quite often, our letter of demand will bring payment, at minimal cost to you. In cases where a stubborn debtor is involved, our staff can vigorously pursue payment by telephone calls, email, or by arranging a visit from one of our field agents. We believe debts should be recovered without resorting to the courts where possible. We understand the importance of eliminating outstanding debts to improve cash flow and increase profit. Our goal is to ensure your debt does not jeopardise the productivity and overall efficiency of your business. We also keep costs very much in mind, offering you an innovative fixed fee debt recovery service to ensure that you can budget sensibly for the cost of recovering debts. Just as importantly, we will always choose the most pro-active method of debt collection in order to achieve payment for you as quickly and cost-effectively as possible. 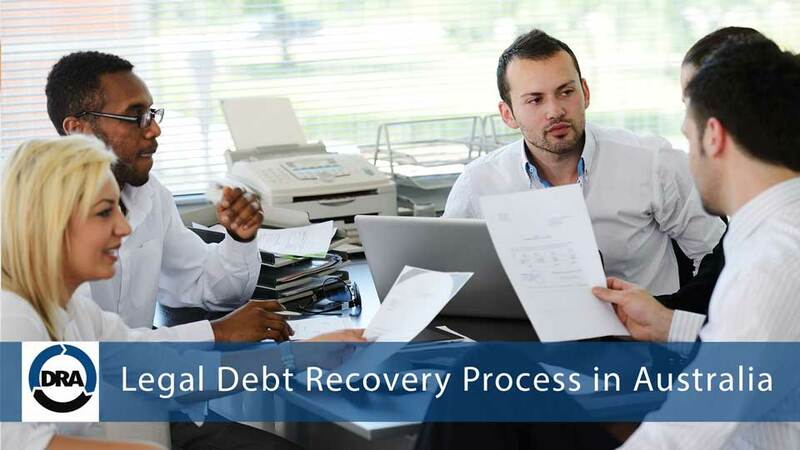 There is a cost involved in each step of the debt recovery process. Most of these costs, except the cost of the Letter of Demand & Garnishee Order, can be claimed back from the debtor. While we are not able to guarantee the debtor will be financially secure and able to pay these costs at the end of the process, it does mean that if your debt is successfully recovered, the only cost to you will have been for the Letter of Demand & Garnishee Order. If you are looking for an insurance recoveries specialist, contact me at Debt Recoveries Australia at 1300 799 511. You may also email me at email@debtrecoveries.com.au or Skype at debtrecoveries. To get a better understanding of the entire legal debt recovery process, please feel free to call our legal arm, ADC Legal Litigation Lawyers on 1300 799 820 or email them at email@adclegal.com.au. In 2002, Adam Stewart established Debt Recoveries Australia Pty Ltd, a debt collection agency specialising in the insurance claims industry.